I have been out for several long bike rides recently, which has helped to build my confidence. 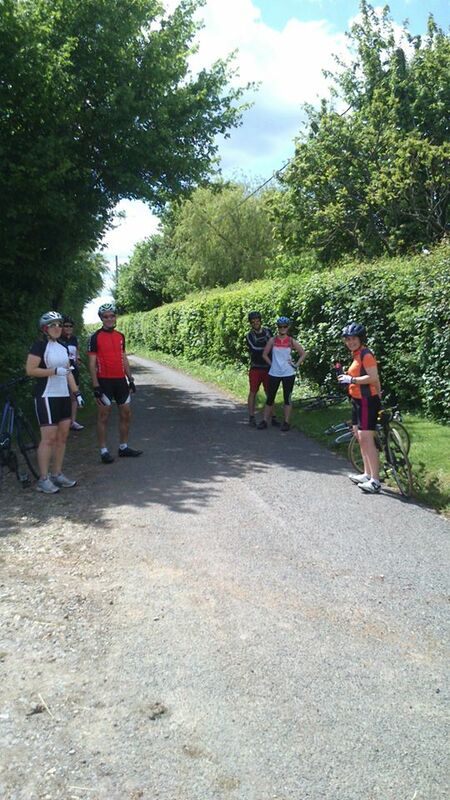 Firstly, Stuart and I went for a 35/40 mile ride with Di, Mike, Pete, Kirsty and Tony. We went out around Romsey and Braishfield and stopped for a lovely pub lunch. 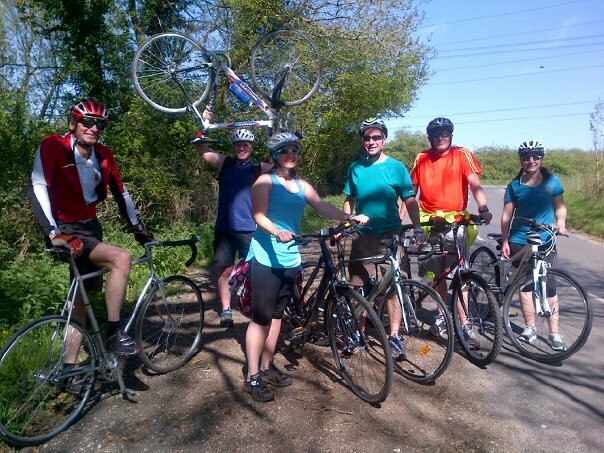 This was the furthest I had ever cycled and I felt really pleased that I was not at the back for the entire ride – it felt like great progress. I had hoped to take some lovely photos to share with you, but unfortunately, that wasn’t meant to be. My hybrid bike does not have a water bottle holder, so I filled a 750ml bottle with water and put it in my pannier. My panniers are waterproof, which means that no water can get in… And no water can get out. I foolishly put my iPhone in the pannier with my water, and when we stopped for a quick break after an hour of cycling, I was surprised to find that there was not very much water in my bottle. Sadly, the water was in my pannier and my phone was floating. What an expensive mistake to make. I now have a new phone, and have also invested in a water bottle cage for my bike!!! For the trip, I purchased some of the padded cycling knickers from Decathlon that Irene recommended. I wore them under my favourite skins running tights, and they were very comfortable. To keep my lower back warm, I wore a fairly long length running vest, but it did not cover my shoulders, which ended up rather burnt – oops! I also finally added the pedal cages that I bought before my duathlon. They make cycling so much easier and will not be coming off my bike! 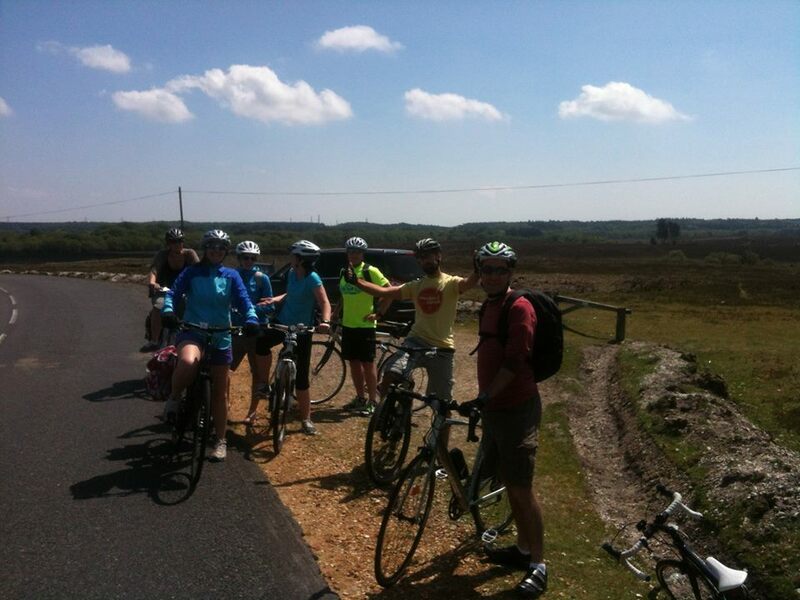 My next long bike ride was a picnic in the New Forest, with Kirsty, Tony, Kev, Alice, Stu, Phil and Irene. It was a similar distance to the ride we did with Di, but it felt so much harder. There are very few hedges to protect you from the wind, so I was blown all over the road with my panniers that were full of picnic goodies. This was taken at the top of a long and wind-swept hill! As it was a warmer day, I decided to wear running shorts (the type with cycling shorts underneath, rather than a brief liner). However, I quickly learnt that these do not go well with padded pants… What a horribly uncomfortable experience! 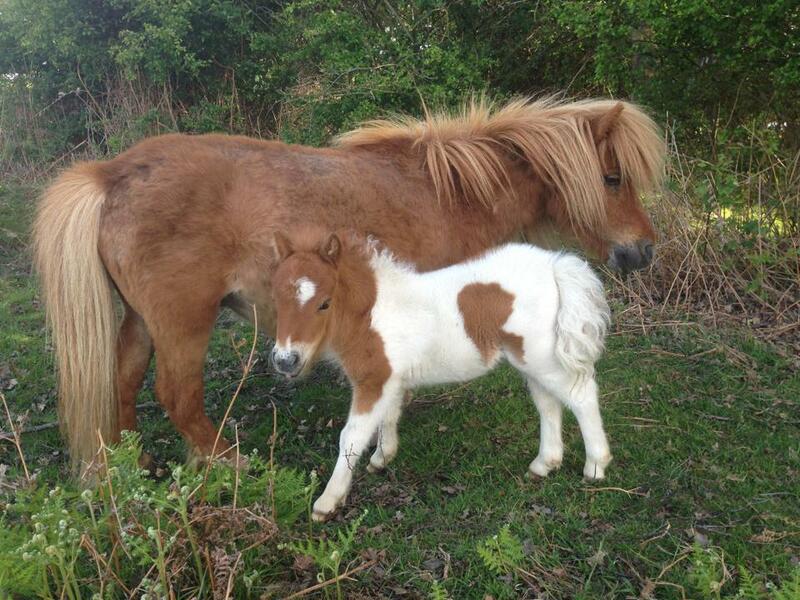 We finally made it to our picnicking area, where there were lots of Shetland pony foals – they are just adorable. 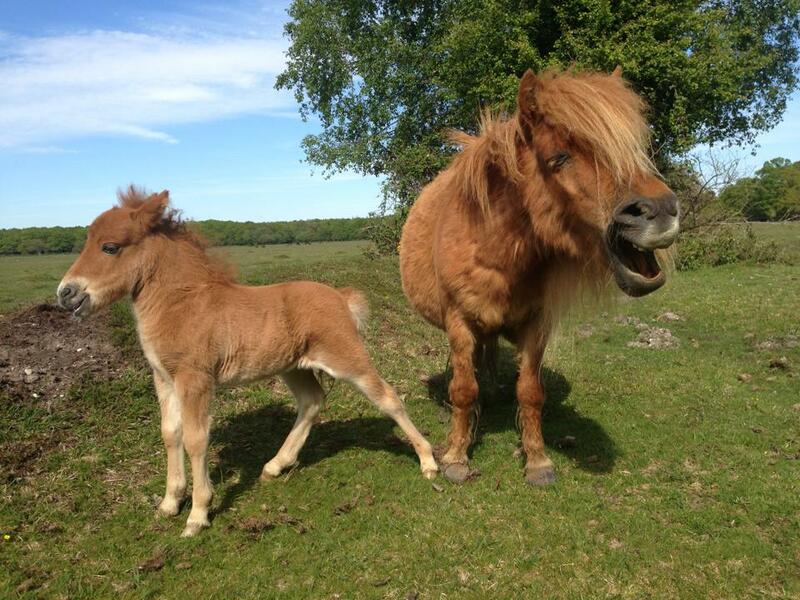 I often think of my running club mates as being like horses. The speedy boys are the thoroughbred racehorses, Dean is a loveable cart horse, and I’m a Shetland pony with little legs and a big tummy! At this point, I realised that if I wanted to get serious about cycling, I needed some proper kit, so Stu and I headed down to Decathlon, where I bought a pair of bib shorts and a matching top. The shorts are surprisingly comfortable, as the elastic does not bite into my legs. The outfit is black and white with cerise pink highlights. The top is mainly white, which means that it’s a little see-through, but not enough to make it indecent. 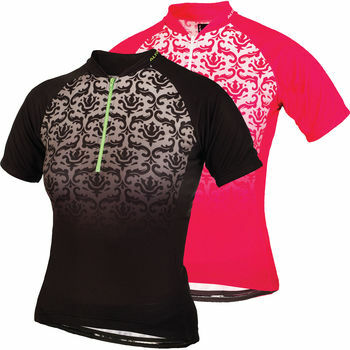 I also ordered the top that I wanted from wiggle. It’s cerise pink so it also matches my bib shorts and is very comfortable. 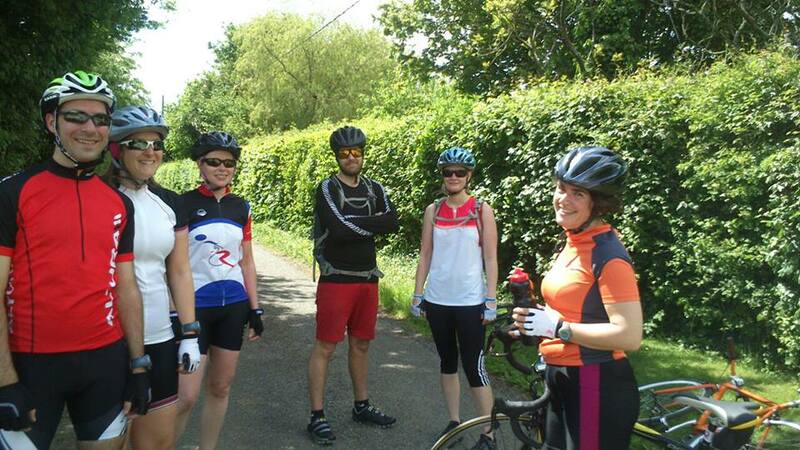 My next long ride was an excursion with Katherine, Liz, Suzanne, Piers and Stu. 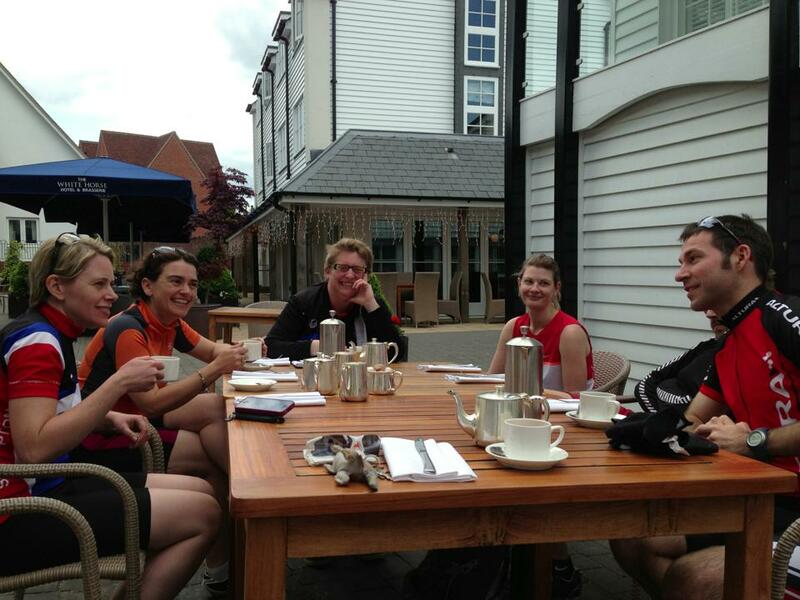 As they’re all members of Southampton Tri Club (apart from Stu), I was rather nervous. I knew Stu would be OK as he’s much fitter than I am. (Also he has a road bike and cleated shoes). Luckily, Katherine and Liz were kind to me, with Liz chaperoning me at the back of the peloton. Part of the route that we did was the same as when we went out with Di, so I was anticipating the first big hill, however, I didn’t realise that Katherine’s route also took in a mile long hill. We also got to see many of my club mates doing the Braishfield 5 mile beer race. I would have liked to have taken part, but Stu isn’t allowed to run at the moment. We finally stopped in Romsey at The White Horse, which has a courtyard that is perfect for cyclists to remain with their bikes. I had the most delicious cream tea, although I don’t think the scones were as good as my mum’s! My original plan had been to buy a road bike on the cycle to work scheme, but I am ineligible for another bike until November. This would mean that I would have to ride a road bike for the first time on my triathlon holiday, and I would only get my new bike when the weather is less likely to be favourable, so I might not get a lot of use out of it until next year. The other issue is that I would be limited to a bike that costs under £1000, and would not be able to take advantage of any special offers. Oh yes, and I’m impatient. Soooooo, I’ve decided to invest in a new bike ASAP. I started reading reviews of bikes and talking to friends in the know, but everyone has different opinions. Some people recommended getting a tri bike, but this gives me less flexibility and may not be ideal for an Ironman, so I am likely to get a road bike. I looked through back issues of 220 Triathlon to help me make my choice, but the featured bikes are usually out of my price range… And I’ve yet to see a review of a women-specific design bike. Anyway, at the back of the magazine, my eyes fell on a recommendation for Vankru bike-fitting. I’d read a bit about bike fitting before, but didn’t think it was something I could afford. However, the location of this particular company caught my eye as it is based less than a mile from my house. 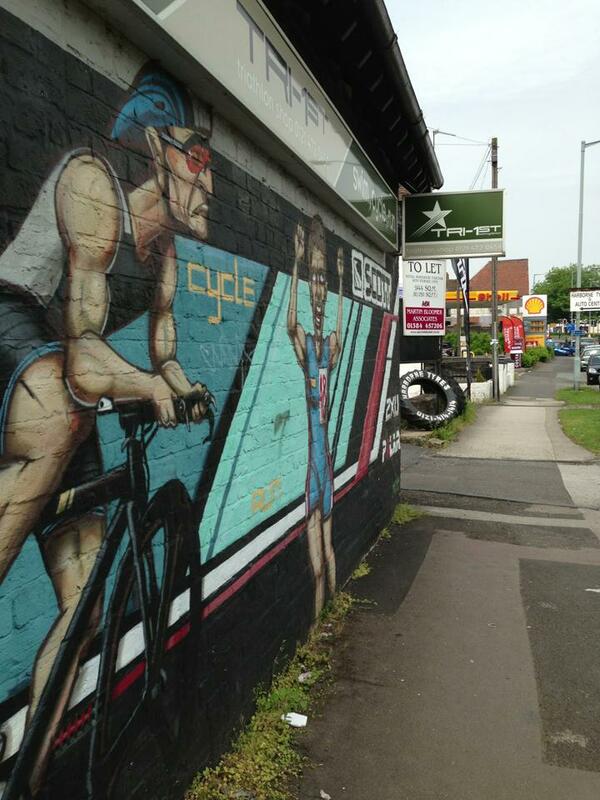 I sent off an email asking some questions, and am now booked in for a bike fit next week. This will just be a basic bike fit so that Garth Kruger (the owner of the company) can take some measurements and recommend particular bike brands according to my dimensions. I’m hoping that this will help to minimise the risk of making an expensive mistake, as well as narrowing down my choices as I’m very indecisive! 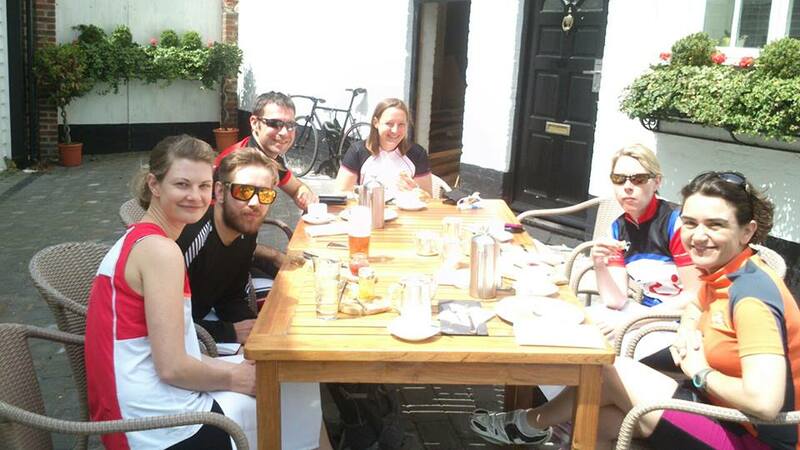 Last weekend, I took part in a fantastic triathlon training camp run by Ant from Run Camp and Ben from Try Tri. I chatted with them a lot about cycling and also practised transitions, but will write a separate post about that. The last part of my bike update is about shoes. I decided to read up some reviews on the best triathlon-specific cleated shoes. 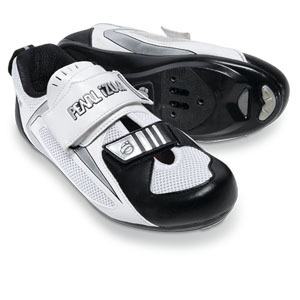 I identified the Pearl Izumi Tri Fly IIIs as the best ones to get, but there is no local retailer, which meant that I would have to guess at my size. Wiggle had some in stock at £60, but they didn’t have all of the possible sizes that I would want to try. 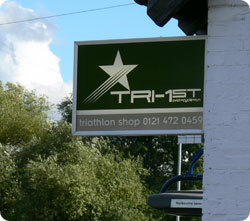 I looked up stockists online and discovered that there is a triathlon shop called Tri-1st just a few miles outside of Birmingham, so I decided to run there to have a look. I tried on the shoes in a 41 and they fitted perfectly. They also looked nice but were £89.99. I explained to the salesman that I could get them online for £60 and asked whether he could do a deal. 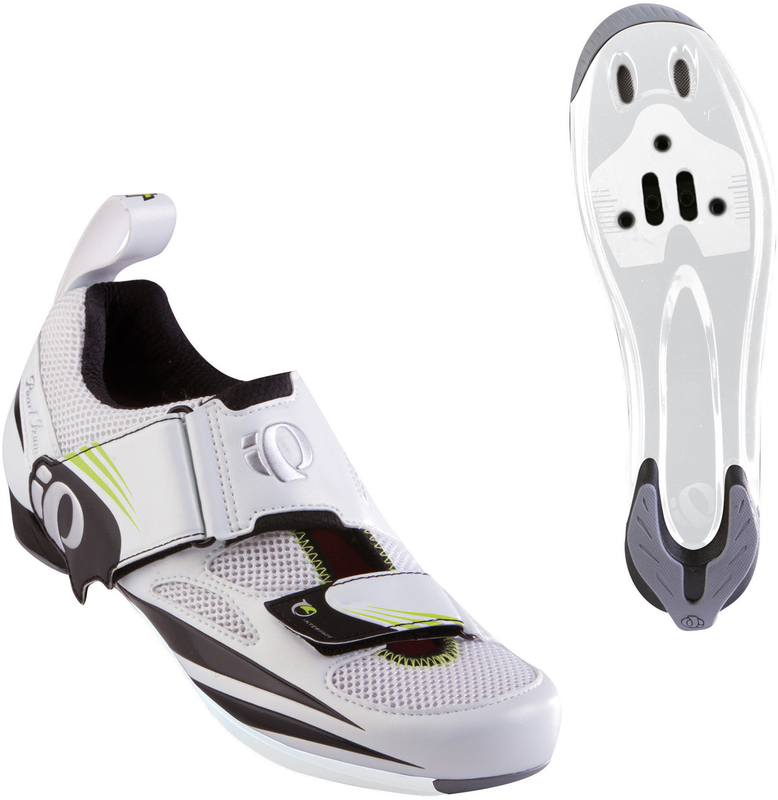 As he was working out prices, I suddenly realised that I had tried on Tri Fly IVs (i.e. the new model, and that these were more expensive online). The salesman offered a price of £75 and I decided to go with it. Later on, I looked them up online and realised that £79.99 (not inclusive of p&p) was the best price I could get and that Wiggle no longer had my size in stock. Maybe I should try haggling more often!!! Stu and I had also bought tickets for Early Riser festival at Avon Tyrrell at the start of August. It sounded like a great event: it was close to home, tickets were BOGOF and the bands are ones I’ve heard of… Plus it included entry into a cyclosportive with a choice of 42k, 75k or 100k. Sadly, I received an email this morning saying that it has been cancelled. Luckily, I have another event to look forward to: 6 ferries and 100k. Katherine is organising this, so it will become a full blog post later. I’ve bought bike shoes and clothes. I’m booked in for a bike fit. I’ll be getting a road bike soon. It may not have felt like I was making progress, but I am definitely taking steps in the right direction!